Braum’s Hot Caramel Topping. Old fashioned recipe with traditional goodness. 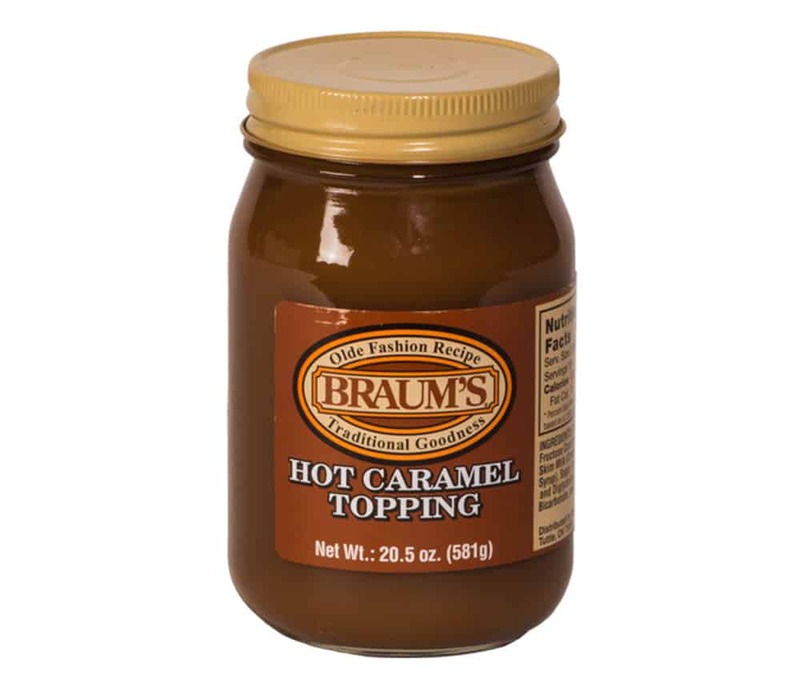 Our rich caramel topping is great on Braum’s ice cream, cakes, and pies. Try it as a dip for slices of apples. For an extra flavor treat combine with Braum’s Hot Fudge Topping.